Customers are a universal part of any job no matter what industry you are in. Everyone from the secretary, stock person, to CEO will deal with customers on some level. It doesn’t matter what job title a person has, part of their job is to make customers happy. Unfortunately in some cases, customer service is a part of the job description that often gets overlooked. We’ve all experienced bad customer service in one way or another. In fact, when we receive excellent customer service it can often be shocking, when in reality, it should be standard. There a lot of easy ways to make sure you deliver great customer service. One of the easiest ways to improve service is to ask your customers what you can improve on. You can do this through things like comment cards, online surveys, or a variety of other ways. The most important part of receiving feedback to let your customers know that you are listening. You don’t have to implement everything they suggest, but responding will let them know you take their opinions seriously, which can go a long way. On the flip side, don’t ignore everything suggested. Find ways to implement good suggestions and your customers will continue to come back. Often bad customer service can be a result of poor communication, so make sure communicate with your customers on a regular basis. If you feel like something can be better explained over the phone than in an email, don’t hesitate to make a call. Working on a big project? Send an email to the client letting him/her know the status. Respond to inquiries or questions in a timely manner. Effective communication will let your customers know they matter. A few weeks ago we talked about the book Raving Fans, which is a guide to customer service. The book stated the 3 key points to creating raving fans are to (1) decide what you want (2) find out what the customer wants and (3) deliver plus one. A big part of excellent customer service is figuring out who your customers are. Not everyone is your customer. Be sure to consistently deliver great service to the people that are. Our jobs require us to do a lot of important tasks and meet tight deadlines. While those tasks are definitely important, they aren’t the only things that are important. Remember that your customers are the people buying your products and using your services. They are just as important as your tasks and deadlines. Make time for your customers just like you make time for everything else. A few simple tasks can greatly improve the way your customers perceive you and your company. 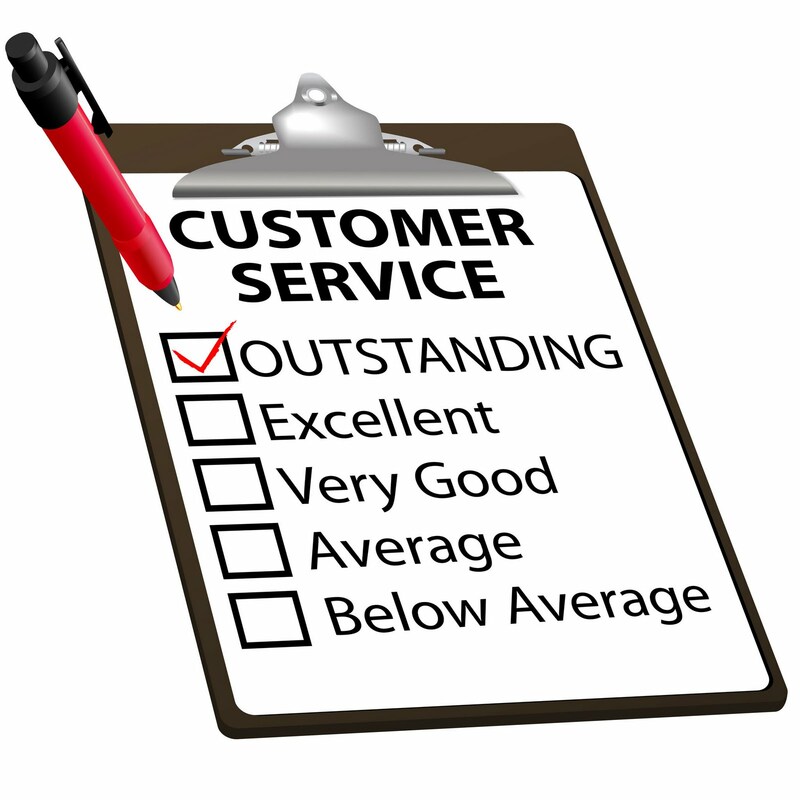 Have you experienced great customer service lately? Share your stories with us.